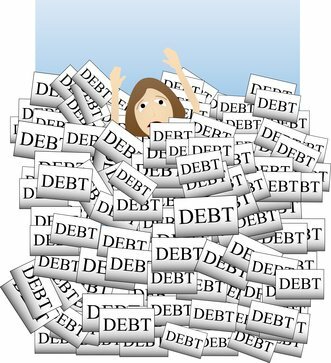 Are you struggling to pay your debts? Has it gotten to the point where your stomach dies a flip-flop whenever the phone rings because you’re afraid it’s an irate lender calling? Are you letting your bills pile up — unopened — because you don’t want to know how bad things really are? There are at least four ways to consolidate debts that have gotten out of control. For example, you could go to a consumer credit counseling agency for help. If the biggest majority of your debts are credit card debts you might be able to do a balance transfer. If things have become truly hopeless could file for bankruptcy. The fourth option is to use a peer-to-peer loan to pay off all of your debts. There are many different types of loans but the two most popular types by a country mile are unsecured and secured. Secured loans are those where you’re required to provide some form of collateral to secure them. The two most common forms of these loans are auto loans and mortgages. 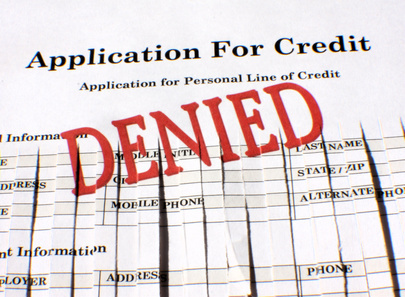 Unsecured loans are just that – loans where you’re not required to provide any form of collateral. These are sometimes called signature loans because if you’re approved for one all you basically do is sign a contract pledging to repay the money. If you have equity in your home your best option might be a homeowner equity line of credit (HELOC) or a home equity loan. Both of these generally have lower interest rates than do personal loans as they are secured loans or second mortgages. If you don’t own your home or don’t have a sufficient amount of equity then your only real option would be a personal loan. However, if your credit is in tatters you might find getting a personal loan from a bank or credit union to be a sort of mission impossible. Fortunately, there is a new type of personal loan that could be your lifesaver. It’s called a peer-to-peer loan and it’s become incredibly popular in the past few years. So what’s a peer-to-peer loan? The process of applying for a peer-to-peer loan is considerably different from that of a conventional loan. When you apply for a loan from a bank or credit union there is usually a mountain of paperwork and lots of hurdles to jump through. If you go to a peer-to-peer lender such as Lending Club, Prosper or Upstart Lending you first fill out an application online. If your application is accepted it will be assigned a letter grade that could be anywhere from A to H depending on your credit score, your debt to income ratio, your education and the overall strength of your application. Your letter grade will determine how much you can borrow, your interest rate and the term of your loan. All the peer-to-peer lenders use letter grade scoring but once your application is approved things get different. Some of the lenders use an auction approach, where potential lenders actually bid to fund your loan. In other sites, your application will be put on the site’s platform for lenders to evaluate and you’ll either get your money or not. If the site you choose uses auctions it could be as many as 14 days before you find if your loan has been funded. On one of the peer-to-peer lending sites you can get your money even if your request is only 80% funded. On another it’s all or nothing. The term of a peer-to-peer loan is either three or five years. Another thing that makes a peer-to-peer loan different from a conventional loan is that you must allow The peer-to-peer site to automatically withdraw your monthly payments from your checking account. And if there’s a month where there’s not enough in your account to cover your payment you will be hit with a fairly stiff penalty. If this is the case you would have a much better chance of getting a peer-to-peer loan than a conventional loan. One of the reasons for this is that if you write a good “pitch” or reason why you need the money, a peer-to-peer lender might decide to take a chance on you. Second, remember that letter grade thing and how it would determine your interest rate? What this means is that if you have less than sterling credit you could still get a peer to peer loan but it could come with an interest rate as high as 29% or even higher. If your loan request is approved but you see you would have a sky-high interest rate you would then have a choice to make. If you need the money desperately you could decide to pay a really high interest rate and accept the loan you’re being offered. If not, you could just walk away and try to find the money you need from another source. Whether a peer-to-peer loan would be a good or bad idea for you will depend on several different factors. However, in most cases it will be a good idea. You could get the money you need without a lot of burdensome paperwork and at an interest rate better than what you would get from a conventional lender – and certainly much better than that of those payday loans.